Evening everyone. Welcome to my Blogmas Day 5 post. I've been meaning to write this post for a while. At the beginning of the autumn season, I bought a few warmer pieces...and kinda forgot to wear them! BUT, fear not, it seems the UK will be getting slightly warmer this weekend, so it's all ok! As you can probably tell, the main two pieces here, are the Cotton jumper I picked up from Bershka and my Bronson Leather Fedora, from All Saints. I love them both! 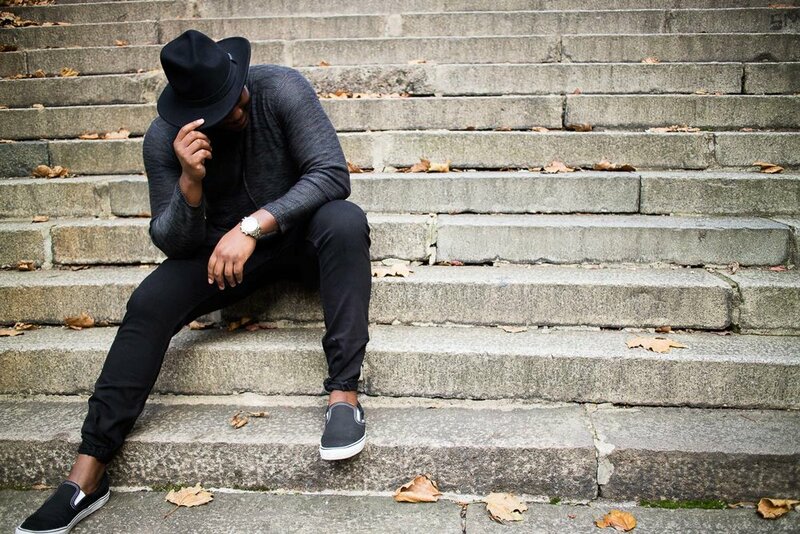 The jumper is super comfortable and warm and the fedora gives a great way to add a bit of cool to a standard combination. Adding my slip on Vans to this also made the look crazy causal. Have you pushed the boundaries with some of your favourite Autumn pieces? Comment below.